There isn't anything much better than running a warm bubble bath and relaxing to the sounds of some of your favorite bands. 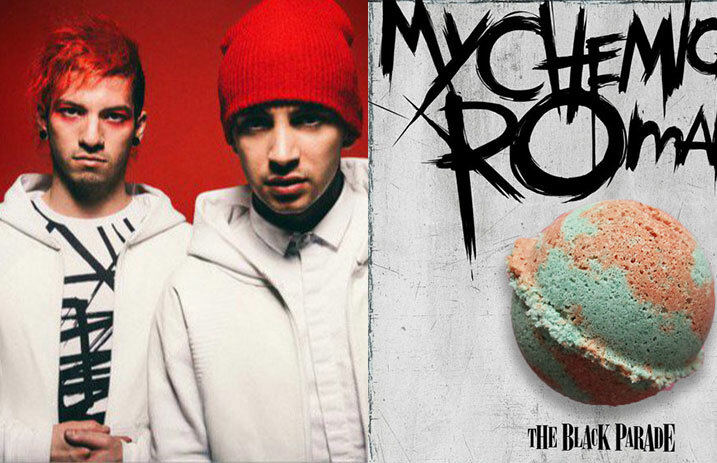 That experience might have just gotten better though with these band-inspired bath bombs. BandBombs have created special bath bombs inspired by bands such as My Chemical Romance, Twenty One Pilots and All Time Low. All of the bath bombs are created handmade by one person taking their fandom to a whole new level. Once you read some of the descriptions for these bath bombs, you're going to want to run home and take a bath right away, preferably while listening to the album that the bath bomb was inspired by. It sounds so good it almost might make you forget that My Chemical Romance broke up four years ago in March. Unfortunately, the BandBombs Etsy page has been taking a “short” break since August along with their Tumblr also being inactive. But this doesn't mean we've possibly seen the end of BandBombs, considering that we've seen some of our favorite bands go on long hiatuses only to come back better than ever. We'll be crossing our fingers that we see the return of BandBombs soon.